Search Engine Marketing: Some luck with Google and display ad placement. 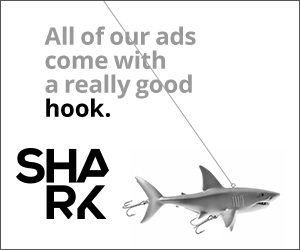 Thanks to Google (and for once, not our keen use of SEO and keyword tactics) Shark's current "Mad Men" vintage ad concept consistently appears alongside Mad Men articles and content. Well it is official, 2015 is here. and as we finished up year-end digital marketing reports we included a short executive brief for our clients. Nothing long winded here: Our Digital To-Dos are short, sweet and give busy clients something to snack on. DISPLAY — Display ads are turning out to be the bread & butter and a core metric for SEM campaigns. Display ads enable your business to reach people beyond search pages and, even if they are not clicked, 27% of the time their impression still triggers a follow-up search around that brand. SOCIAL — Gone are the days when your company could get by without social media. With Google now factoring social content in its organic results, managing your posts, comments, articles, and feeds demands far more attention to the quality of your SEO efforts. MOBILE — With smart phone displays increasing in size and more people than ever using their mobile phones as their main gateway to search the web, optimizing your website means having a well-designed mobile interface via a mobile app or responsive web design. And don’t forget that your digital ads need mobile targeting as well. CONTENT — Content marketing is predicted to grow exponentially in 2015. But watch out, because simply pumping out repurposed or low value content can actually be harmful to your brand. Digital press releases are one way to push articles and news quickly across news engines and social media; and when they point back to your website, they work wonders for SEO. SEO — Updates to the Google algorithm have leveled the playing field and allow high-quality websites to shine. No longer can companies purchase shady back-links or stuff content with keywords in order to increase ranking. In 2015, your business should incorporate fresh content, use of long-tail keywords, quality back-links, and descriptive tagging in order to increase SEO. Elizabeth Archangeli 's home decor products at Cricket Radio get an SEO and Digital marketing push from Shark.